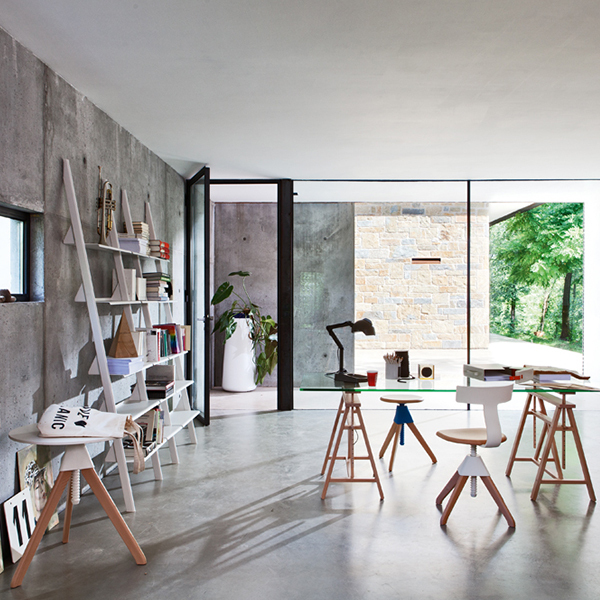 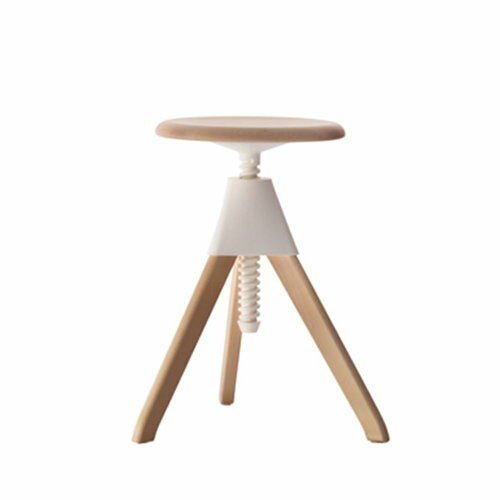 Tom and Jerry from Magis are Konstantin Grcic’s playful take on the typical workshop stool. Their frame is crafted of solid beech and the mechanical parts are self-lubricating polypropylene. 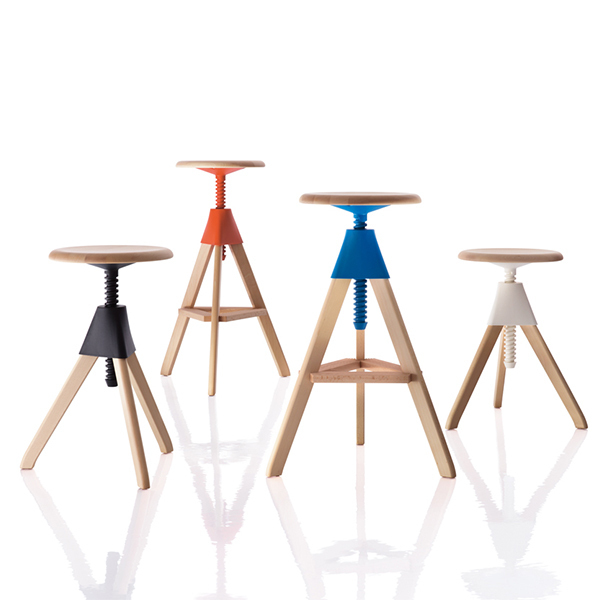 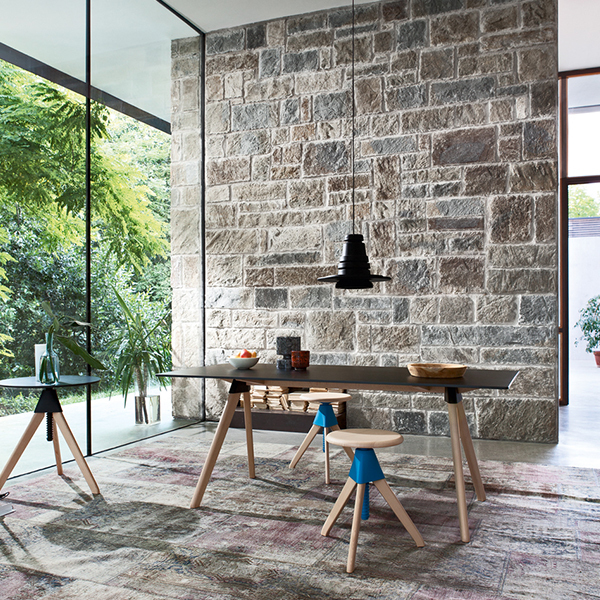 The colourful, smooth-running plastic parts create a fun contrast with the wooden legs and seat, and make the stools easy and pleasant to use. The Tom bar stool is perfect for bars and kitchen islands whereas the lower Jerry stool suits any space from office to kids’ room.